BUJUMBURA – The government of Burundi has failed to deliver justice for the killing of Ernest Manirumva, a Burundian anti-corruption activist, a decade ago. The emblematic case is an example of political interference with criminal investigations, especially in politically sensitive cases involving activists. Manirumva, a respected economist, had been investigating allegations of large-scale police corruption and illegal weapons purchases, among others, when he was killed. Manirumva was vice president of the Burundian group Anti-corruption and Economic Malpractice Observatory. Since January of that year, he had also been vice president of an official body that regulates public procurement. His death sent shockwaves through Burundian civil society. Under acute pressure, the courts have politicized the law and used questionable procedures to silence and detain members of nongovernmental organizations. 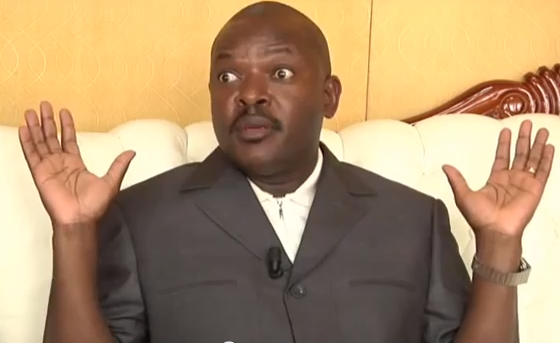 Prosecutions increased in early 2014, in advance of the 2015 election, in which President Pierre Nkurunziza was elected for a controversial third term. Since then, many leading Burundian human rights defenders and independent journalists fled the country for their security. Among those recently imprisoned was Germain Rukuki, who was prosecuted in relation to his work with the now-banned anti-torture organization ACAT-Burundi. He was found guilty of “rebellion,” “threatening state security,” “participation in an insurrectional movement,” and “attacks on the head of state” and sentenced to 32 years in prison. Rukuki appealed the conviction, and although a decision should have been made by December 26, 2018, a lawyer informed about the case told Human Rights Watch that the appeals court had not located the file, leaving Rukuki’s case in limbo. Nestor Nibitanga, a human rights defender and regional observer with the Association for the Protection of Human Rights and Detained Persons, was convicted on charges of threatening the security of the state and sentenced to five years in prison on August 13, 2018. Nibitanga was arrested in November 2017 and was unlawfully held incommunicado, without charge and without access to his family or a lawyer for almost two weeks. APRODH reported that judges cited Nibitanga’s continued work for the organization, which was suspended in 2016, as a motivation for the verdict. Aimé Gatore, Emmanuel Nshimirimana, and Marius Nizigama, members of a local organization, Words and Action for Awakening Consciences and Changing Mentalities were sentenced to 10 years in prison for threatening the security of the state in March 2018, but were acquitted upon appeal in December. They were not released until March 21. A source close to the case said the delays were partly connected to the restructuring of the appeals court, but also due to the accusation against them. “If a judge has to release someone accused of threatening the security of the state, they are afraid to do so,” he said.